Dr. Dube is a native of Augusta, Georgia, and a graduate of the University of GA in Athens. 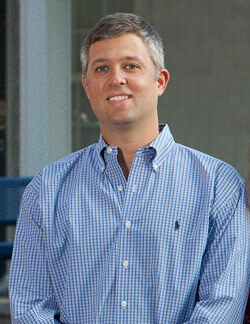 He received his dental degree from the Medical College of Georgia in Augusta. Following dental school, Dr. Dube attended an Advanced Education in General Dentistry residency program at the University of Missouri, Kansas City, Dental School. This residency focused on advanced restorative dentistry, dental implants, and cosmetic dentistry. Dr. Dube is a proud father of two children and our office heartwarming and welcoming dog, Olive. His personal interests revolve around wildlife management and conservation on his farm where he can be found almost every weekend.